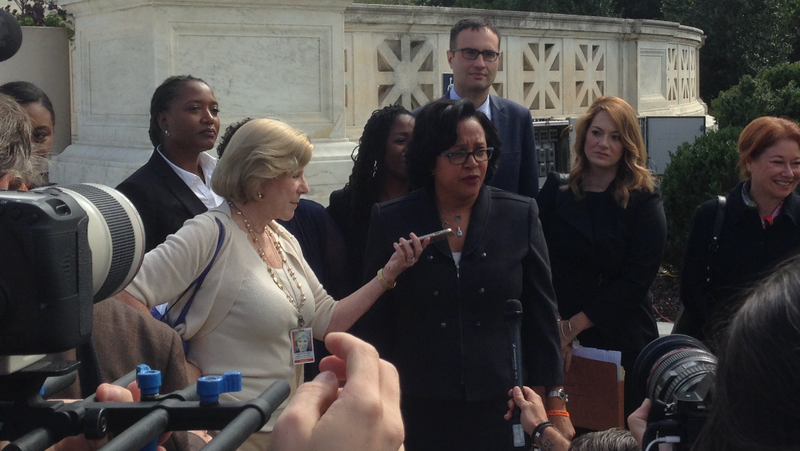 In DPIC's latest podcast, NAACP Legal Defense and Educational Fund Litigation Director Christina Swarns (pictured, center, outside the U.S. Supreme Court following the argument in Buck v. Davis) discusses the issues of race, future dangerousness, and ineffective representation presented in the landmark case. She calls the case—in which a Texas trial lawyer who represented 21 clients sent to death row presented an expert witness who testified that his own client was more likely to commit future acts of violence because he is black—"astonishing" and "a complete failure, literally, of all aspects of the criminal justice system." Swarns argued in the Supreme Court on behalf of Texas death-row prisoner Duane Buck, one of seven death-row prisoners whose trials were tainted by the racist testimony of Texas psychologist Dr. Walter Quijano, who testified that Buck presented a greater risk of future dangerousness because he is black. The Texas Attorney General's office conceded the impropriety of the testimony and agreed to new sentencing hearings in the other cases, but when a new attorney general was elected, opposed relief for Buck. In Texas, a jury must find that a defendant is a future danger to society as a prerequisite to imposing the death penalty, and the prosecutor seized on Dr. Quijano's testimony as a reason to sentence Buck to die. On February 22, 2017, nearly 20 years after his trial and after all state and federal courts to have considered his case had denied relief, the Supreme Court overturned Buck’s death sentence. In a conversation with DPIC Executive Director Robert Dunham, Swarns explains how Buck's case made its way to the Supreme Court, and how racial bias and the concept of future dangerousness are inextricably linked. Texas had argued that Quijano's testimony, while improper, was harmless because his and the prosecutor's comments on race were very short. Swarns, however, explains that "[t]he race-as-dangerousness link is so pernicious and so ingrained in history and culture and the death penalty in this country, that ... the explicit introduction of that evidence by a defense expert can only be deeply prejudicial ... no matter how many lines of transcript space it occupies." Chief Justice John Roberts, writing the Court's majority opinion, agreed, stating, "When a jury hears expert testimony that expressly makes a defendant’s race directly pertinent on the question of life or death, the impact of that evidence cannot be measured simply by how much air time it received at trial or how many pages it occupies in the record. Some toxins can be deadly in small doses." Later in the discussion, Swarns places the Buck case in the broader context of the historically racially discriminatory application of the death penalty in the U.S. "This is a story as old as the death penalty itself," she says. "There has never been a time, there has never been a place in the administration of the death penalty where there isn't a race effect. Period. Hard stop." Thirty years ago, filmmaker Errol Morris, who directed the documentary “The Thin Blue Line,” helped to exonerate Texas death-row prisoner Dale Adams, falsely accused of murdering a police officer. During the course of making the film, Morris met the notorious Texas prosecution psychiatrist, Dr. James Grigson, who routinely testified that capital defendants—including the innocent Mr. Adams—posed a risk of future dangerousness. 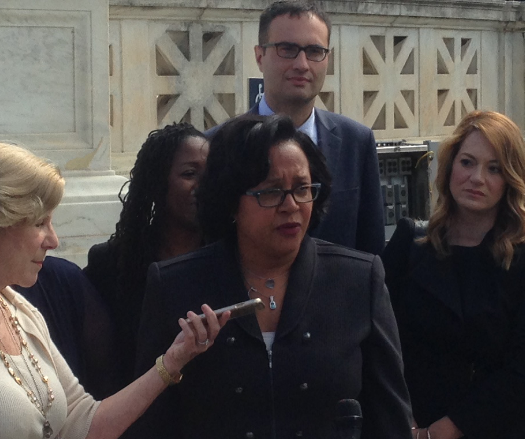 Morris recently interviewed Christina Swarns (pictured, center), litigation director for the NAACP Legal Defense and Education Fund, about the case of Duane Buck and the hazards of Texas’s continued use of the concept of future dangerousness in sentencing defendants to death. Swarns argued Buck v. Davis in the U.S. Supreme Court, a case tainted by the testimony of Dr. Walter Quijano, a psychologist who told the jury that Buck was more likely to commit future crimes because he was black. On February 22, 2017, the Supreme Court overturned Buck’s death sentence, saying “Our law punishes people for what they do, not who they are.” Swarns said "[t]he introduction of evidence linking race to dangerousness — like that which was presented in the Duane Buck case — was an inevitable product of future dangerousness in the capital punishment system in Texas.” With a death penalty system already “contaminated and corrupted by racial bias,” she said, Duane Buck’s death sentence “was a predictable outcome of that mess." Swarns called the future dangerousness requirement "insane," saying "The business of predicting future dangerousness without becoming corrupted by the various factors that are so tied to human functioning is impossible. It’s an absurd requirement." She added that Buck's perfect disciplinary record in his more than 20 years in prison is evidence that predictions of future dangerousness are unreliable. On August 19, the Texas Court of Criminal Appeals granted Jeffery Wood a stay of execution to litigate his claim that the testimony Dr. Grigson presented in his case claiming that Wood was certain to pose a future danger to society if he was not executed was false and scientifically baseless. While the Supreme Court did not address the issue of future dangerousness determinations in its Buck decision, Chief Justice Roberts, writing for the majority, sharply condemned the racially biased testimony from Buck's trial. "When a jury hears expert testimony that expressly makes a defendant’s race directly pertinent on the question of life or death, the impact of that evidence cannot be measured simply by how much air time it received at trial or how many pages it occupies in the record. Some toxins can be deadly in small doses," Roberts wrote. On Friday, May 26, Alabama Governor Kay Ivey (pictured) signed into law a statute denominated the "Fair Justice Act," which is designed to shorten the state death-penalty appeals process. The law constricts the amount of time death-row prisoners have to file appeals, imposes time limits for judges to rule on appeals, and requires prisoners to pursue their direct appeal and post-conviction appeal simultaneously, including raising claims of appellate counsel's ineffectiveness while appellate counsel is still handling the case. Governor Ivey characterized the law—which will apply to all defendants sentenced to death on or after August 1, 2017—as "strik[ing] an important balance between protecting the rights of a defendant and the state's interest in allowing justice to be achieved effectively and swiftly." Alabama Attorney General, Steve Marshall, said the statute "streamlines the appellate process" but "does not diminish the thoroughness of appellate review of death penalty cases." Critics of the law, however, say that is precisely what it does. Linda Klein, the President of the American Bar Association—which calls for fair process in the administration of capital punishment but takes no position on the death penalty itself—said that the new law "unduly limit[s] counsel’s ability to conduct that critical post-conviction investigation" and will "make Alabama an outlier on how appeals and post-conviction cases are handled." Birmingham civil-rights attorney Lisa Borden said Alabama capital cases typically suffer from a lack of “detailed investigation" into what the issues in the case actually are and if the state curtails the time for post-conviction investigation, "you are going to have people whose valid claims, whose important claims [are] cut off forever and people are going to die.” She said, "If Alabama really wants to fix the process[, it should] . . . provide competent representation and resources to people from the beginning." The National Registry of Exonerations has found that more than half of all murder exonerations involved prosecutorial failures to disclose exculpatory evidence, and that official misconduct was present in 87% of death-row exonerations of black defendants and 67% of death-row exonerations of white defendants. The study also showed that it took an average of four years longer to exonerate an innocent black defendant wrongly convicted of murder and sentenced to death than a wrongly convicted white death-row prisoner. Anthony Ray Hinton, an innocent African-American man who spent nearly 30 years on Alabama's death row for a crime he did not commit, has said that if he were convicted under the Fair Justice Act, "I would have been executed despite my innocence." Hinton says it took more than 14 years before he was able to obtain the competent representation and expert assistance necessary to prove his innocence. The Texas State Commission on Judicial Conduct has issued a formal reprimand to a sitting Burnet County judge who posted on Facebook a photo of a black murder suspect accused of killing a police officer with the comment, "Time for a tree and a rope." 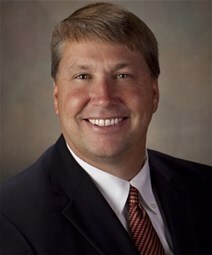 Judge James Oakley (pictured), who is white, denied that the comment about Otis Tyrone McKane was a race-based reference to lynching. "My comment was intended to reflect my personal feelings that this senseless murder of a police officer should qualify for the death penalty. In my mind, the race/gender of the admitted cop killer was not relevant," he told the commission. That is not how observers of the post saw it: 18 people filed written complaints to the Commission about Oakley's comment. The reprimand said, “Multiple Complainants also questioned Judge Oakley’s suitability for judicial office, and expressed doubts that he could perform his duties impartially." Oakley will be required to attend a 30-hour training for new judges and receive 4 hours of racial sensitivity training with a mentor, but will not be removed from office or excluded from presiding over any class of cases. In its reprimand, the Commission wrote, “During the appearance, Judge Oakley made certain statements that indicated to the Commission that he could benefit from racial sensitivity training with a mentoring judge." The incident was reminiscent of an incident in March in which a white Seminole County, Florida court employee posted a comment on Facebook that black State Attorney Aramis Ayala "should be tarred and feathered if not hung from a tree," for announcing that she would not seek the death penalty. After an investigation into the circumstances surrounding that posting, the clerk resigned his position. The Florida Legislative Black Caucus has joined more than 100 lawyers and legal experts and the parents of murder victim Sade Dixon in urging Governor Rick Scott to rescind his order removing Orange-Osceola County State Attorney Aramis Ayala (pictured) from a high-profile double murder case in which she decided to not seek the death penalty. The other victim in the case, Lt. Debra Clayton, was an Orlando police officer. Governor Scott did not speak with Dixon's family before issuing an order removing Ayala and appointing a Special Prosecutor to the case. At a press conference on March 23, Sen. Perry Thurston (D-Lauderhill), chairman of the legislative black caucus, said "Gov. Scott's hasty response to State Attorney Ayala's announcement set a dangerous precedent and is a slap in the face of the voters who carried her into office." He called the order "little more than an unfettered and uninformed power grab by the governor's office over a difference of opinion." Rep. Sean Shaw (D-Tampa) highlighted the racial history implications of the Governor's action, saying, "Clearly all the data and all the studies show that the death penalty is applied with racial bias, particularly in Florida. This is still the case and has always been the case, and by standing against the death penalty, State Attorney Ayala is standing with communities of color." Ayala, Florida's first African-American elected state attorney, was removed by a white governor and replaced with a white prosecutor. The defendant, Markeith Loyd, is black. Both parents of Sade Dixon, Loyd's ex-girlfriend who was pregnant at the time of the murder, supported State Attorney Ayala's decision not to subject them to the ordeal of extended death penalty proceedings, and oppose Gov. Scott's decision to remove her from the case. "Life, no chance of parole, we get closure," said Ron Daniels, Dixon's father, "but now if you give him the death penalty, he comes back. Every time he appeals this family or any family has to relive that case all over again." Ayala also received support from a group of 100 law professors, judges, and attorneys, who said in a letter to Gov. Scott, "We believe that this effort to remove State Attorney Ayala infringes on the vitally important independence of prosecutors, exceeds your authority, undermines the right of residents in Orange and Osceola counties to the services of their elected leaders, and sets a dangerous precedent." Following her decision not to seek the death penalty, a white employee of the Seminole County clerk of courts wrote on Facebook that Ayala "should be tarred and feathered if not hung from a tree." Rep. Shaw responded: "It's 2017 and the newly elected state attorney was threatened with a lynching. That's why we're here today. The death penalty is a link to the sordid past of Florida where lynching was used to terrorize our community." The courts' employee subsequently resigned. Companion reports released on March 7 by the National Registry of Exonerations found record numbers of exonerations and wrongful convictions involving official misconduct in 2016, and striking evidence of racial bias both in the wrongful convictions themselves and in the time it took the judicial process to exonerate the wrongfully incarcerated. The Registry's report, Exonerations in 2016, found a record 166 exonerations in 2016, with 54 defendants exonerated of homicide. A DPIC review of the Registry's data revealed that the death penalty played a role in nearly a quarter of the homicide exonerations. In at least six of the wrongful homicide convictions, prosecutors had sought the death penalty at trial; in another, an innocent defendant had pled guilty to avoid the death penalty; and at least six additional exonerations were the product of witnesses having falsely implicated innocent defendants after police had threatened the witness or a loved one with the death penalty unless the witness cooperated with the investigation. The Registry's companion report, Race and Wrongful Convictions in the United States, analyzes exonerations for murder, sexual assault, and drug crimes since 1989. The report found that black people are seven times more likely to be wrongfully convicted of murder than white people and that African Americans imprisoned for murder are more likely to be innocent if they were convicted of killing white victims. Police officers were more likely to have committed misconduct in the cases in which black defendants were exonerated of murder than in exonerations of white murder defendants. In addition, justice was delayed in exonerations of black murder defendants, who, on average, waited three years longer than whites before being released from prison. An analysis of the DPIC death-row exoneration database corroborates the National Registry's conclusions: 16 of the last 18 death-row exonerations had police or prosecutorial misconduct as their primary cause. 18 of the exonerees in the last 25 misconduct-related death-row exonerations are black. While 68.8% of wrongly convicted non-black death-row exonerees were exonerated in 10 years or less, it took the judicial system 11 years or more to exonerate 57.3% of the wrongly convicted black death-row exonerees. 84.6% of all cases in which exoneration took 26 years or more involved black defendants.